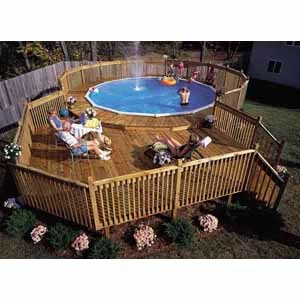 If you are a pool owner, then you are aware that quality pool deck furniture is not only expensive, but requires proper care and maintenance in order to survive. As your pool deck furniture is consistently exposed to harsh weather conditions, such as wind, rain, and even sunlight, it can become damaged, worn, and rusted. When this happens, you may think of dumping your old worn out pool furniture, and buying new pieces at the home store. However, in this economy, every dollar counts. You can easily restore your old pool deck furniture and make it look brand new. Often times, you can do it for a fraction of the cost that it would take to purchase a new set of furniture. While some people find that pool deck furniture restoration is a great do-it-yourself project, others would rather hire professional help to get the job done. Either way, if you decide to repair outdoor furniture yourself, you will still save yourself money and time. Let’s take a look at both of these options to see which one is best for you. How Can You Tell If You Need Restoration? Many people love home improvement projects, and grasp for the chance to start a new project around the house. Spending the afternoon working on a project with your children is a great family activity. When restoring your pool deck furniture yourself, keep in mind that different pieces of furniture will require different restoration techniques. This will depend on what material the piece is made of. Whether your set is made of vinyl, plastic or metal, the first step is to research the project, and determine exactly what you need from the home improvement store. You may want to enlist the help of some friends or family members to help you with your improvement project. From lawn chairs to pool lounges, you and your team can accomplish anything. Even if you choose to forgo doing the project yourself, you can still save money by hiring a restoration company to do the work for you. If you have vinyl pool furniture, it may be difficult to stretch and weave the vinyl strips onto the furniture by yourself. When hiring a professional restoration company, they will attach the vinyl straps to a furniture frame, and, after being exposed to great heat, stretch them across onto the frame. This process can easily cause a torn muscle, pulled shoulder, or back injury, if done incorrectly. Therefore, hiring an expert team is a great idea. Most companies are fully insured and bonded, and so you are not held responsible in case something should happen. Whether you decide to take on the project yourself or hire a professional, you will enjoy relaxing on your restored pool furniture this summer. I am going to pass this onto my mom! We do that every year with our patio set . These are some great ideas! I am all about doing it yourself to save $$$. A pressure washer will go a long way as well. This is awesome; thank you! Living in Florida, our outdoor furniture definitely takes a beating. Enlisting the children for help is beneficial because it helps them learn new skills, gays them talking to you, and shows them that with a little work, things can me restored to their former glory without having to buy new! I followed your ideas and now my deck and furniture look awesome - My girlfriend asked if I had bought new stuff. Thanks!